Today’s bike trainers are getting closer and closer to providing the real outdoor cycling feeling. Bike trainers are essential for cyclists as well as fitness sportsmen and women. 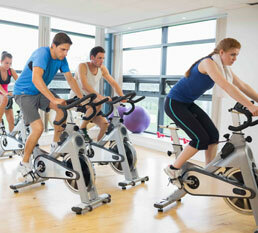 Stationary indoor bike trainers allow to work out at any time, no matter the weather or season. Bike trainers enable riders to loose weight, stay fit and healthy, and built tight muscles that last. 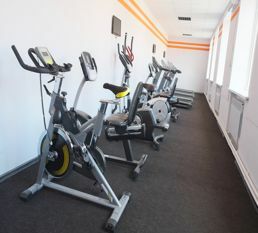 Stationary indoor bike trainers are used at home or in gymnasiums by common sportsmen and women. They are easy to use, have a controllable fluid- or magnetic resistance, come with digital displays and can be produced to be useable with different apps and training programs. 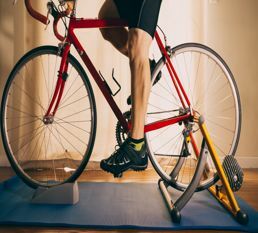 Stationary indoor rollers as bike trainers used to be common indoor cycling trainers for professional bike training and a realistic cycling feel. Rollers generally have three drums fixed within a metal frame. cyclists ride their bikes on the drums, while wind-, fluid-, or magnetic-components create a training resistance. 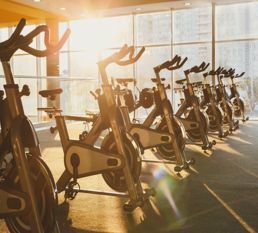 Rollers are fun for experienced cyclists but not suitable for gyms without professional trainers teaching users how to ride without falling off. 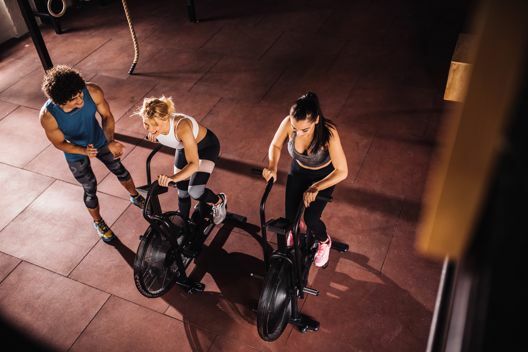 Stationary indoor wind bike trainers provide resistance to the sportsman by transforming the paddling rotation into wind using a fan. The fan resistance increases with the growing peddling speed of the rider. 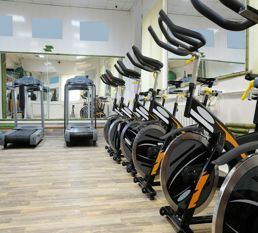 Stationary indoor wind bike trainers are relatively easy to manufacture and durable. However, resistance is not adjustable and the fan is a little noisy. 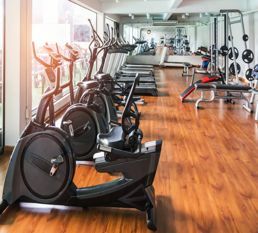 Stationary indoor magnetic bike trainers are similar to wind bike trainers with the main difference of the resistance being created through a magnetic flywheel. Electronic magnetic bike trainers are much more quiet than wind bike trainers and allow the rider to adjust the resistance to met their individual training needs. Magnetic bike trainers are similarly to the wind bike trainer easier and therefor cheaper in the production. While the magnetic flywheel allows the user to set different resistance levels, it is not as durable as the wind bike trainer. Stationary indoor fluid bike trainers increase the resistance options of traditional magnetic bike trainers by adding chambers of viscous fluid to the magnetic flywheel. Fluid bike trainers are very quiet and some of the most realistic cycling simulation trainers with their great range of resistance variations. When arranging a fluid bike trainer production, it is important to check the speed and time the bike can be used before overheating the liquid. Fluid bike trainers are the most commonly produced stationary indoor bike trainer. indoor bike trainer frame with a variety of resistance settings a common indoor bike trainer design #1 A common indoor bike trainer design #2. Bike trainer productions from low priced to providing the real outdoor cycling feeling. Bike trainers include bike roller frames, wind bike trainers, magnetic bike trainers, fluid bike trainers and more. indoor bike training roller frames, let you practice indoors with your own bike. a common indoor bike trainer design #3 indoor bike training roller frame production sample Folded indoor bike training roller frame production sample. Foldable roller frames alow easier storage.